Back GoE – Become a partner today! We ask for your mailing info to send postcard and poster rewards. International shipping costs causes us to lose money on poster shipments at the suggested donation level. So, please add $10 to your donation for international shipping outside of the USA. Our first fundraising goal of $5,000 is targeted toward concept art. If we reach this goal, we will have more rewards based on the art being created. GoE supporters will also have the opportunity to preview and provide feedback on GoE concept art. Join the team! 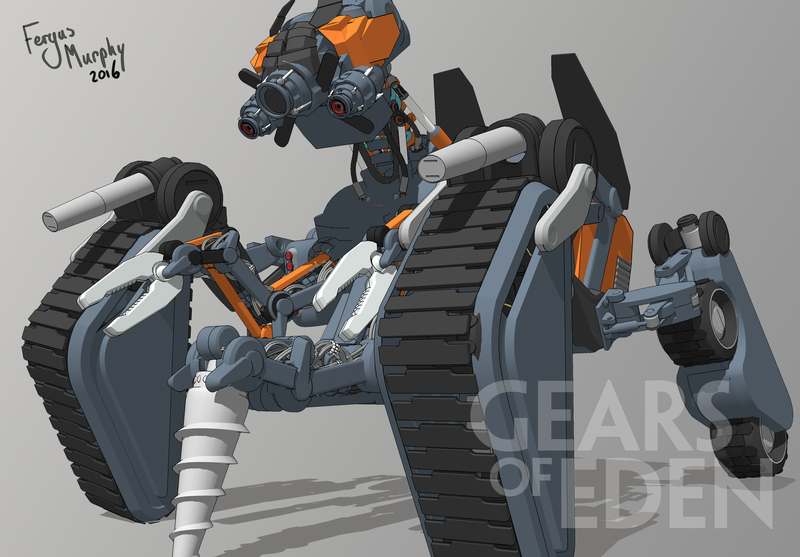 Help make Gears of Eden a success! 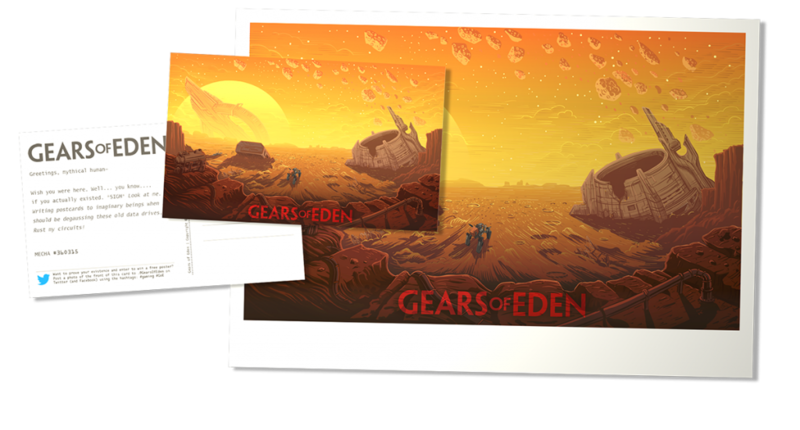 Your financial backing allows us to hire developers and artistes to bring Gears of Eden to life, expand features, and bring you updates more quickly! If you are interested in joining our team as a volunteer to support programming, art or marketing, please use the contact page to let us know! Our goal is to create an amazing demo. However, indie game development is full of all sorts of unexpected events that might delay or cancel production. We will do our best to stick to our schedule — but no matter how hard we try, we cannot predict the future. We can, however, communicate frequently and clearly if things are happening to cause delays. And that is exactly what we will do! It means so much to us to have you help us reach our dreams — and we are very grateful for your support! We are extremely grateful for your support, and are happy to provide the following rewards as a token of our appreciation for your contribution. Have an idea to make our rewards better? Let us know! $1–Animatron Level: You will receive a sincere “Thank you” in the form of a poem from our Haiku robot. $5–Nanobot Level: Access to download high resolution concept art wallpaper. $10–Droid Level: You will receive actual mail from the postman that isn’t junk! For $10, we will send you a customized autographed GoE postcard! $15–Cyborg Level: Fortune and glory is yours! You’ll get your name in the credits of GoE for posterity! $25–Android Level: You will have access to digital downloads of the final releases of our demo and full version of GoE. $35–AI Level: Achievement unlocked! Early Access! You gain access to GoE at major milestone stages in development! $100–Overlord Level: Name a character in GoE! Some restrictions may apply (though we are not necessarily opposed to Rovey McRoverface)! Thank you so much for having our backs! Don’t forget, you can also help support Gears of Eden by sharing on Twitter and Facebook!